What did our ancestors dream of when they gazed up at the stars and looked beyond the present? Wildly imaginative but grounded in reasoned scientific speculation, A Journey in Other Worlds races far ahead of the nineteenth century to imagine what life would be like in the year 2000. At the beginning of the twenty-first century, Earth is effectively a corporate technocracy, with big businesses using incredible advances in science to improve life on the planet as a whole. Seeking other planets habitable for the growing human population, the spaceship Callisto, powered by an antigravitational force known as apergy, embarks on a momentous tour of the solar system. Jupiter proves to be a wilderness paradise, full of threatening beasts and landscapes of inspired beauty, where the explorers must fight for their lives. Dangers less tangible but equally deadly await the Callisto crew on Saturn, which yields profound secrets about their fate and the ultimate destiny of man! kind. Thoughtful, adventurous, and replete with a dazzling array of futuristic devices, A Journey in Other Worlds is a classic, unforgettable story of utopias and humankind’s restless exploration of the stars. 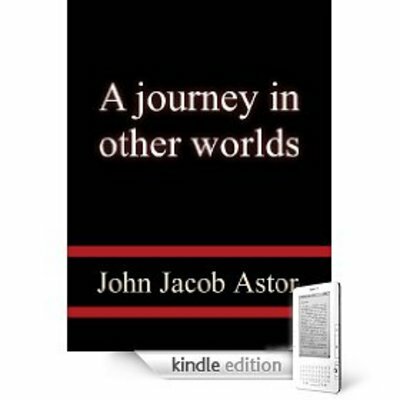 A Journey in other worlds A romance of the future a journey;a romance;future 9361288 7.99 thinkers Fresh Download Available!